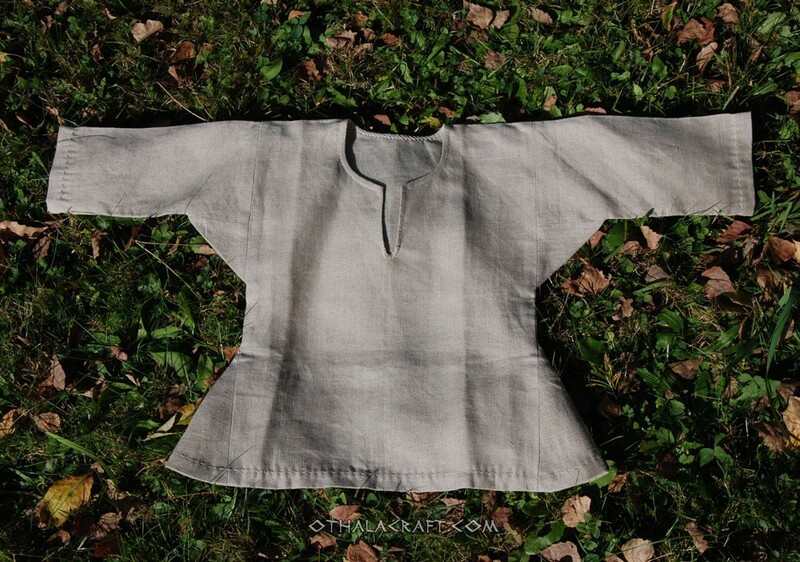 Beautiful small tunic made of natural linen 100%. Made of two rectangles and with square-shaped wedges under the armpits and wedges on the sides. The shirt has split at the neck. This kind of tunics are known from early medieval iconography. Inside stitches are machine, every visible stitch is hand made. Ideal for small Viking. 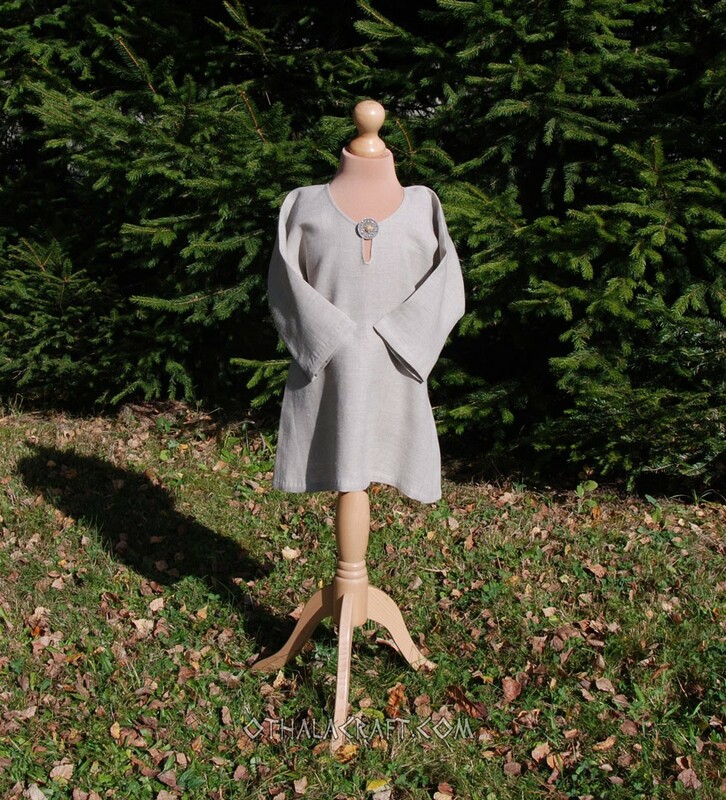 Size: length of tunic 39 cm, width 28 cm x 2, length of sleeves 17 cm, width of cuff 10 cm.